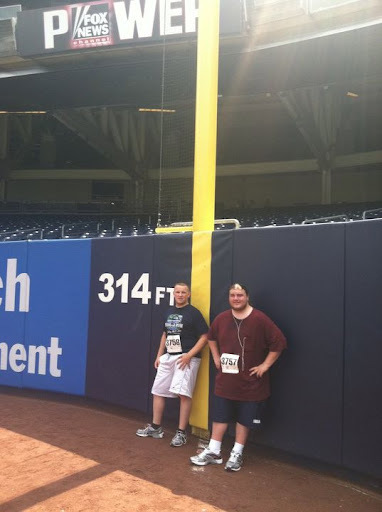 My brother Justin and I at the foul pole in right field. 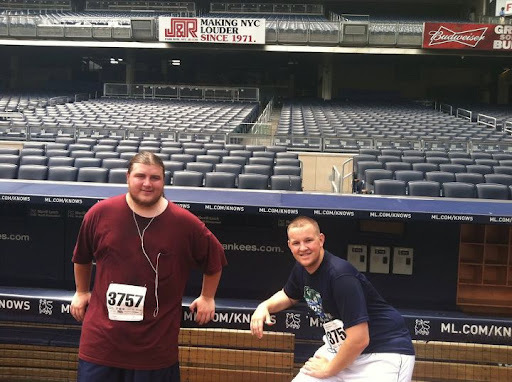 My brother Justin, and I in front of the Yankee’s dugout. 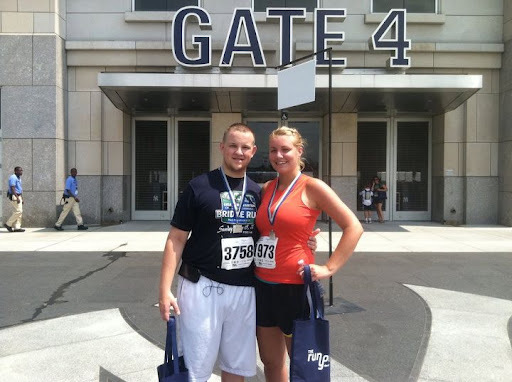 Amy and I post race. After the warning track came the harder portions of the race, climbing and descending stairs to the other concourses. 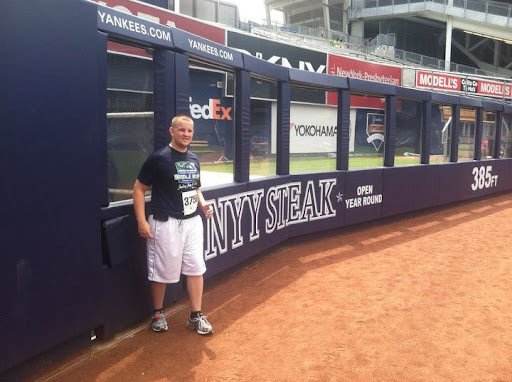 It was a lot of fun, but definitely not something you practice as a runner. We certainly didn’t win this race, and well never planned to. We had a great time, and enjoyed the experience. Maybe next year I will run more competitively.